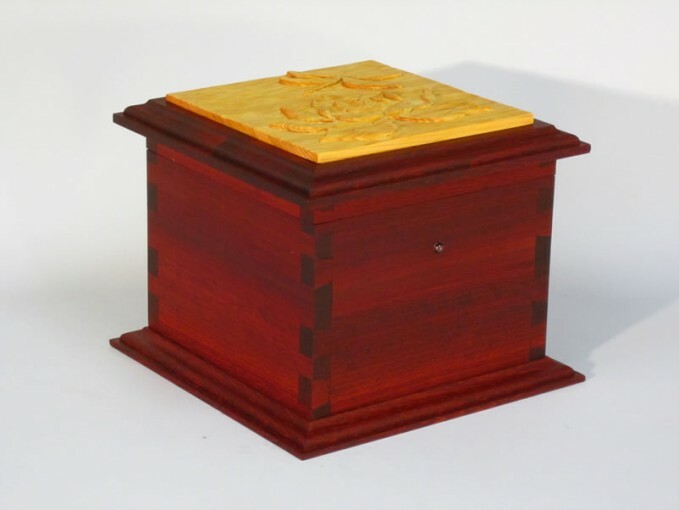 This wood box urn is made from african padauk with a liner of maple as a contrasting colour. 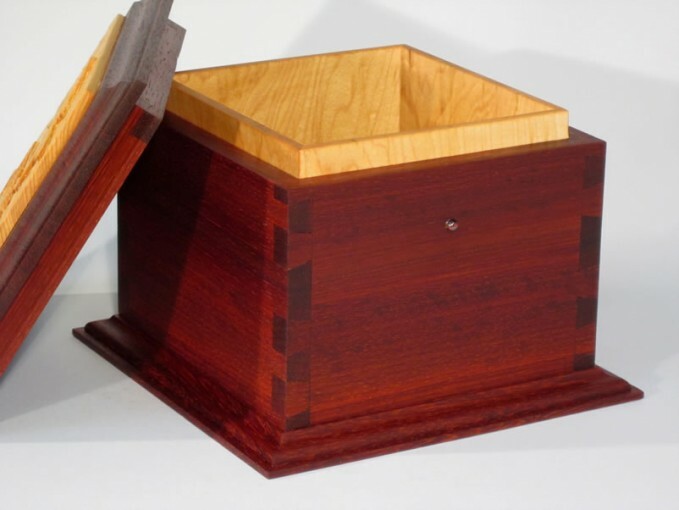 The padauk is a beautiful red hued wood, and the natural oil and beeswax finish really brought out the colour and grain. I also added several beads inlaid to the sides of the box as a special memorial – the beads belonged to my mom before she passed, and now they will help hold my friend’s ashes. Using exotic hardwoods is not something I usually recommend, unless I know that the wood is not endangered or restricted. I feel it’s important to understand how our choices impact the world around us, including places that we can’t see or visit easily. A memorial urn for a dear friend who passed last year. I was honoured to be asked to craft a special wooden box for an urn, and I really enjoyed the process of creating the urn, from choosing the right wood, to carving the top with some of her favourite images – a lotus flower and a dragonfly. It meant a lot to me that I was able to give the box to her husband in person last weekend. I will post more photos of the urn in a few days so you can see the carving more closely.